Leia (left) and Caroline Carrico. 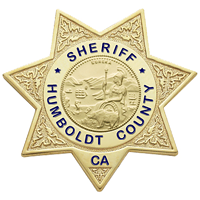 Humboldt County Sheriff William Honsal said his office is using every available resource to scour the woods south of Benbow for two sisters reported missing yesterday afternoon. Honsal made clear there are absolutely no signs of foul play but said he’s called in his criminal investigations unit as a precaution, noting that deputies are searching every residence in the area of the girls’ disappearance, closing area roads to non-local traffic and searching "everyone coming off the mountain." 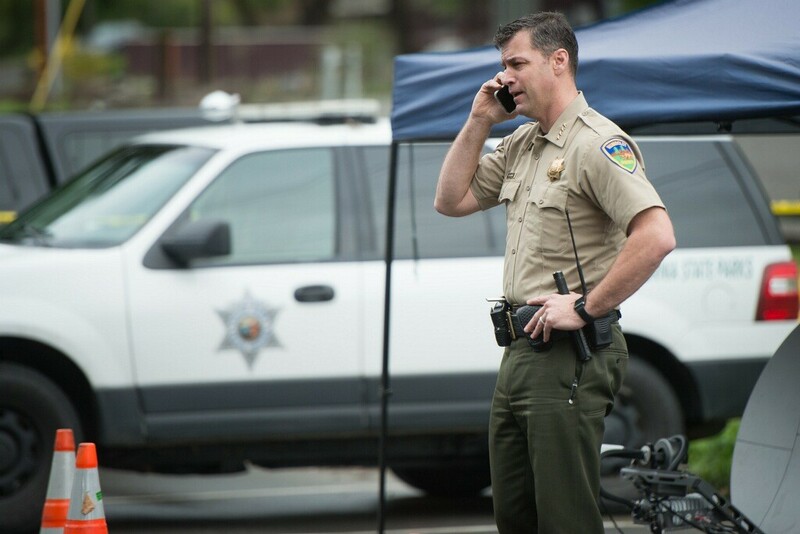 Humboldt County Sheriff William Honsal at the incident command center near Benbow. Officials also said they have been in contact with the FBI, which is consulting with the California Highway Patrol's child abduction team and standing by in case additional resources are needed. 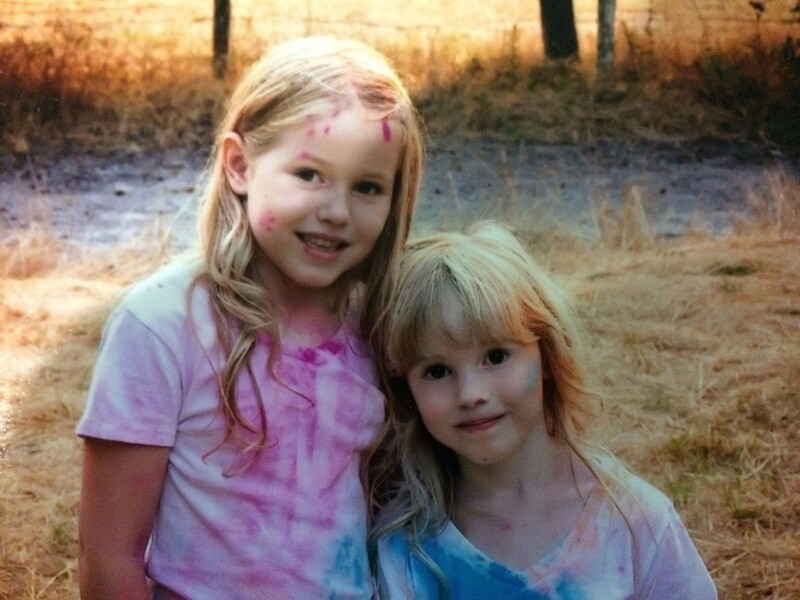 Leia and Caroline Carrico, 5 and 8, respectively, were last seen at about 2:30 p.m. yesterday when they asked their mom to go for a walk at their home in the 3300 block of Twin Trees Road south of Benbow. The girls' mother, Misty Carrico, told them she wasn't ready to go and turned her attention to other things. About 30 minutes later, she noticed them missing. Friends and neighbors searched for them but called authorities about 6 p.m. yesterday when the girls were still missing. Find descriptions of the girls here. Multiple agencies then mounted a search effort, which has continued and grown throughout today, with at least four scent-tracking dogs participating. Honsal said that roughly a dozen agencies are currently helping the effort. Lt. Mike Fridley said searchers have found some clues in the woods. Some granola bar wrappers found match the kind in the Carrico's homes, and searchers believe they have spotted some of the girls' bootprints. Those clues have helped inform the direction of the search, Fridley said, noting that the effort is being aided by some National Guard technology that allows commanders to track the 10 search teams' movements using satellite imagery. Additionally, officials said helicopters — first a U.S. Coast Guard chopper then a Blackhawk — are helping offer an aerial view of the rugged, steep terrain, but Fridley said their infrared technology has so far proven ineffective in the thickly forested area. 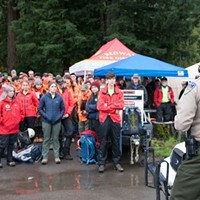 Honsal and Fridley both stressed that members of the public should not attempt to search the areas themselves. "Please do not self-deploy in these rural areas," Honsal said, adding that such efforts could be dangerous but — more importantly — could hamper official efforts by destroying footprints, leaving new scent trails or damaging other evidence. "If you trample an area that these girls might have been in, it will hamper efforts from dogs (and professional search personnel)." Officials said all possible resources are being devoted to this effort, adding that search crews are scheduled throughout this afternoon, tonight and tomorrow. "All hands are on deck here in trying to solve this, trying to help find these girls," Honsal said. Anyone with any information about the girls' whereabouts is asked to call a tip line established for the purpose at (707) 441-5000.